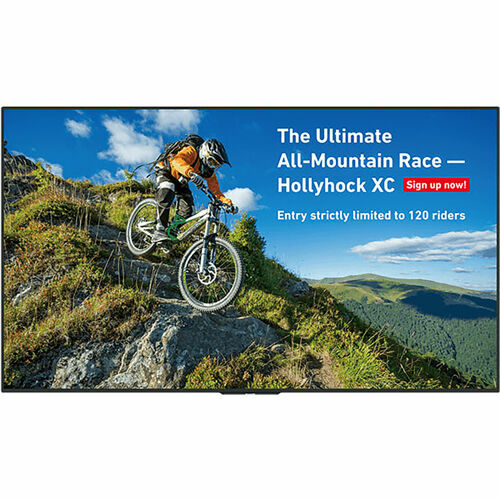 Engage, inform, and entertain your audience with a Sharp commercial LCD display. The PN-UH501 display delivers your message with eye-catching detail at every scale. Along with 4K Ultra HD resolution, it boasts a built-in USB media player. So, even without a connected PC, you can display photos and videos with amazing realism. Belying its slimline profile, this monitor packs advanced professional features and an on-board NTSC/ATSC tuner. Whether you set it up in a retail, hospitality, or business setting, this monitor is built to make an impact.